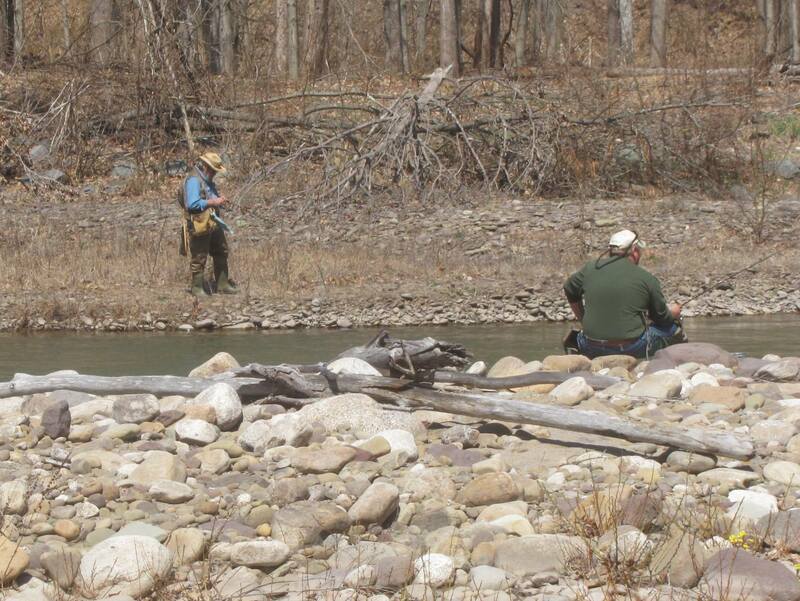 The Mehoopany Creek Watershed Association has scheduled the Annual Trout Day Fundraiser on Saturday, April 16. Association members (top) will set up a tent along PA-87 at Forkston’s Four Corners from 7 am to 1 pm at which anglers and other guests can purchase soup, wimpies, hotdogs, beverages and sweets, as well as MCWA logo clothing. 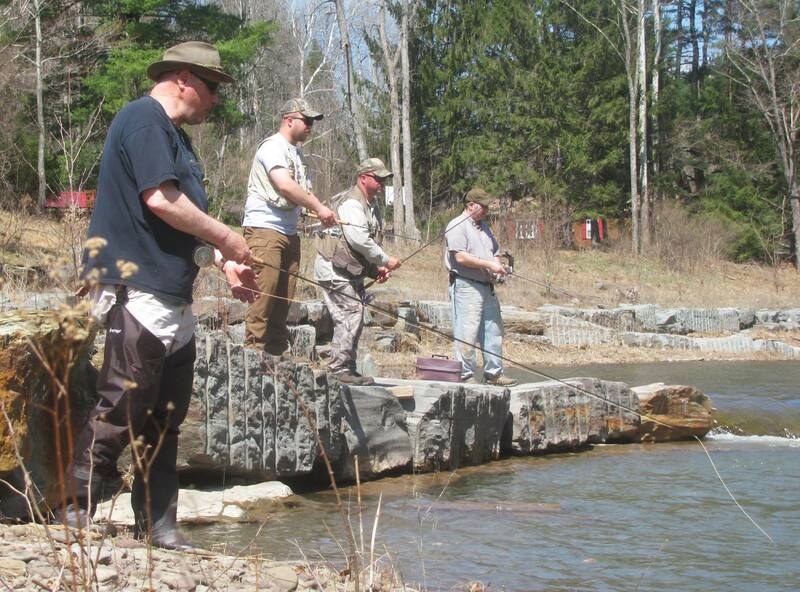 “Our Annual Trout Day fundraiser benefits MCWA’s water quality work to improve trout and aquatic life habitat,” said MCWA spokesperson Rusty Bennett (top, second from right). For example, the MCWA has been liming designated areas within the Mehoopany Creek Watershed a number of years in order to improve stream pH levels. “We’ve got good food, good fun, good fishin’, good friends, conversation and fishing stories, stop by meet old and new friends and share a tale,” Bennett offered.